Do you own a smartphone? According to Digital Market Research, over 60% of Americans own a smartphone today up from 44% in 2011. Mobile technology is quickly becoming the most relevant marketing tool for bar owners. Here’s four ways bars owners are taking advantage of smartphone technology to increase business and drive profits. 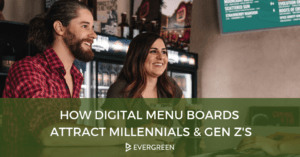 Customers use restaurant apps to find new businesses to try, compare menu options, check-in on social media (to show friends how much fun they’re having), and more. Apps like Yelp and UrbanSpoon show user ratings reviews of bars and restaurants in a particular metro area; customers read these reviews to make decisions of where to eat or drink (and which businesses to avoid.) 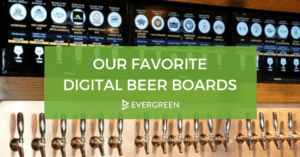 Night owls use apps like TapHunter to find bars nearby with the best beer menus. FourSquare can be linked to users’ Facebook and Twitter accounts so that users can check-in at a location, letting their friends know where they are and which bars or restaurants they frequent. 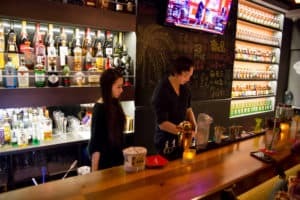 Smart bar owners make sure to monitor these apps to make sure customers are able to find their businesses, read reviews, look at menus, and check-in to social media. These days people are on the go more than ever and, as a result, are more likely to access the internet on their smartphone than on a desktop computer. 81% of mobile consumers have searched for a bar or restaurant on their mobile device, and 88% of consumers who search for a bar or restaurant on a mobile device visit or call that establishment within 24 hours. Still, many websites are not mobile-friendly, meaning they load improperly or slowly on mobile devices like smartphones. Websites that are not developed for mobile users puts the establishments they represent at a disadvantage as these businesses miss out on the large mobile consumer population searching for bars and restaurants on their mobile devices. Smart bar owners ensure that their business’ website is mobile-friendly. Location-based technology is ubiquitous on smartphones, from Google Maps’ “Search Nearby” feature to Facebook’s “Nearby Friends” GPS locator feature to the Apple App Store’s “Local Recommendations” options. Consumers have a variety of ways to find new places to go. They can use features like these to find new restaurants or bars nearby to try, or somewhere they’ve been before that just happens to be serving what they crave at the moment. Smart bar owners make sure that their establishments are listed on these maps with up-to-date, accurate information including address, website, phone number, and hours of operation, and they also ensure that their businesses can be found using location-based technology features.